and increase your email deliverability! DMARC Analyzer is one of the pioneers of DMARC and has been helping customers since the introduction of the DMARC standard in 2012. 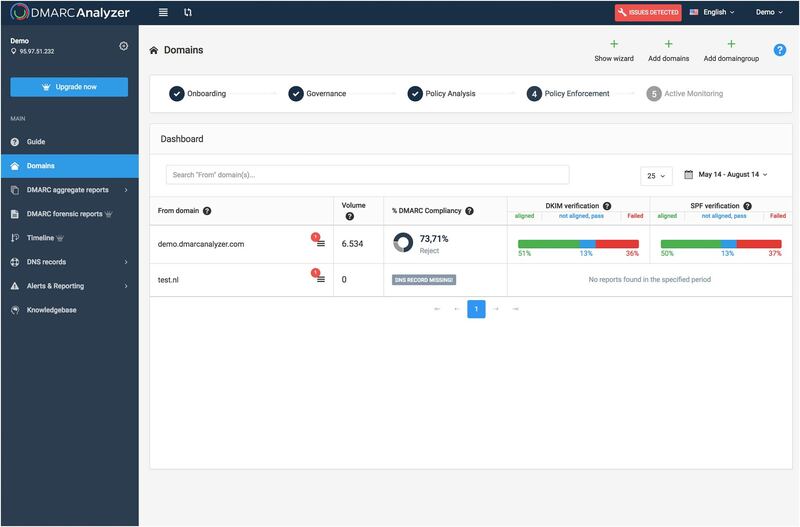 DMARC Analyzer provides user friendly DMARC analyzing software and acts as your expert guide to move you towards a reject policy as fast as possible. DMARC Analyzer provides a SaaS solution which empowers organisations to easily manage complex DMARC deployment. The solution provides 360° visibility and governance across all email channels. Everything is designed to make it as easy as possible. 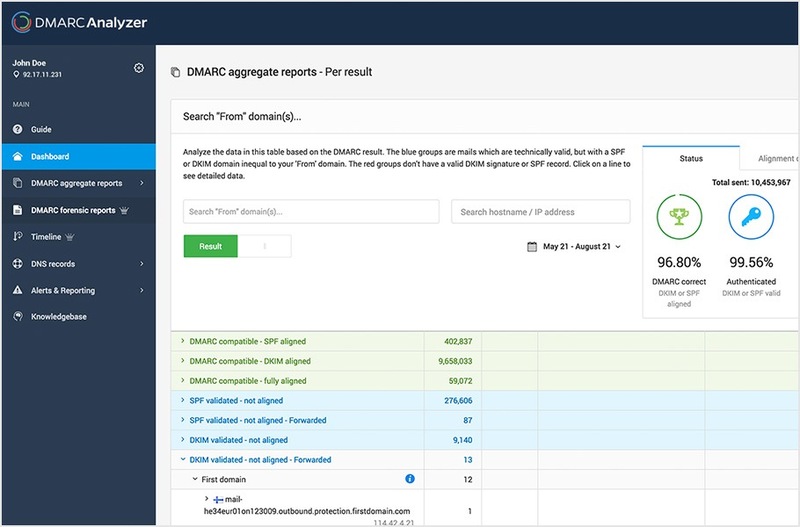 DMARC Analyzer provides user friendly DMARC analyzing software and act as your expert guide to move you towards a reject policy as fast as possible. 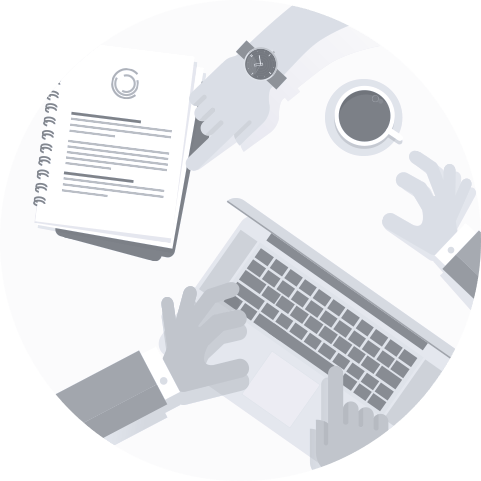 Our DMARC deployment and project management specialists can help you with managing your DMARC project, mitigate risks, allow you to safely block malicious emails without impacting your other email channels like marketing etc. A DMARC specialist can guide you through each phase of the DMARC deployment and the maintenance process. DMARC Analyzer provides three types of servicelevels; Professional Services, Platinum Support and Managed Services which are high-end service solutions with acces to DMARC specialists. Free 14 day Trial!Learn more..